sponsor for the movie project, Derek Jordan, from Premier Alliances. Roderick is a multiple format artist who has won accolades as a cinematographer, painter, mixed media artist, screenwriter and filmmaker, as well as having designed and built his own custom house in the middle of the desert in Cochise County. Roderick has been a resident of the Sierra Vista area for 40 years and graduated Buena High School in 1985. 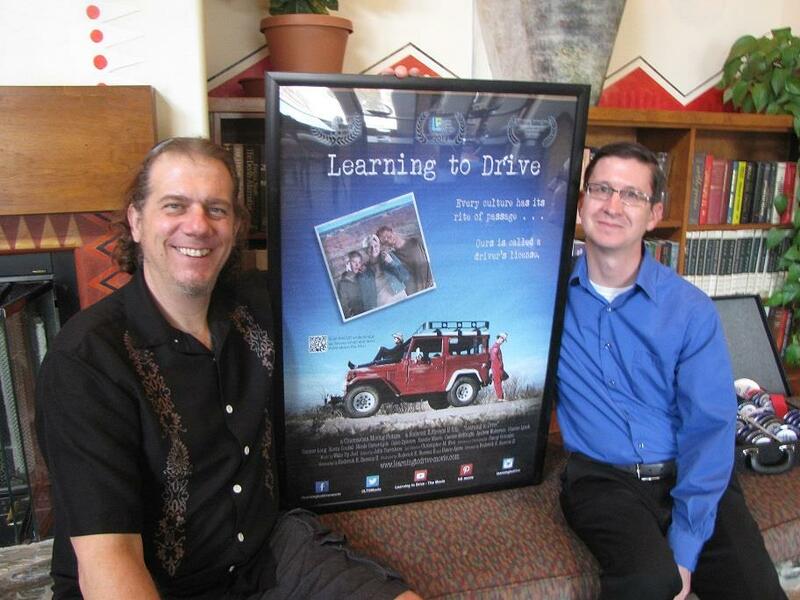 The movie, Learning to Drive, is “inspired by the true story of a feisty young man with Down Syndrome determined to convince his scatterbrained brother to teach him how to drive!” In reality, the movie is about Roderick (the scatterbrained brother) and his young brother who does have Down Syndrome and wanted to be taught how to drive an automobile. Originally planned to be a full-length movie, the film has now become a short, almost 30-minute movie, focusing on the wants and desires of the young person with Down Syndrome and not just focusing on the fact that he has Down Syndrome. Roderick showed a short film trailer (at www.learningtodrive-movie.com ) to give the club members an appreciation for the content of the film and an appreciation for the actor, Connor Long, who plays the lead role of the young man with Down syndrome. Connor Long has Down Syndrome, a lifelong condition in which a person is born with distinct physical features and some degree of cognitive disability.